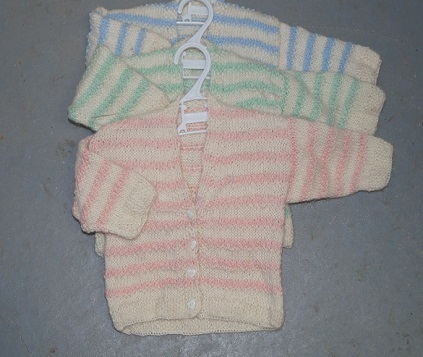 Sherlin's Lil' Tot striped cardi is sure to be favourite for baby. This handknitted 100% Alpaca cardi comes in a range of colours but if you are after a specific colour plesae conatct to discuss. Sizes avaiable to fit: 6 and 9 months.